In December 2018, A J Moffat & Associates were asked to review the evidence for current management of veteran beech trees at Burnham Beeches in Buckinghamshire, from an environmental perspective. 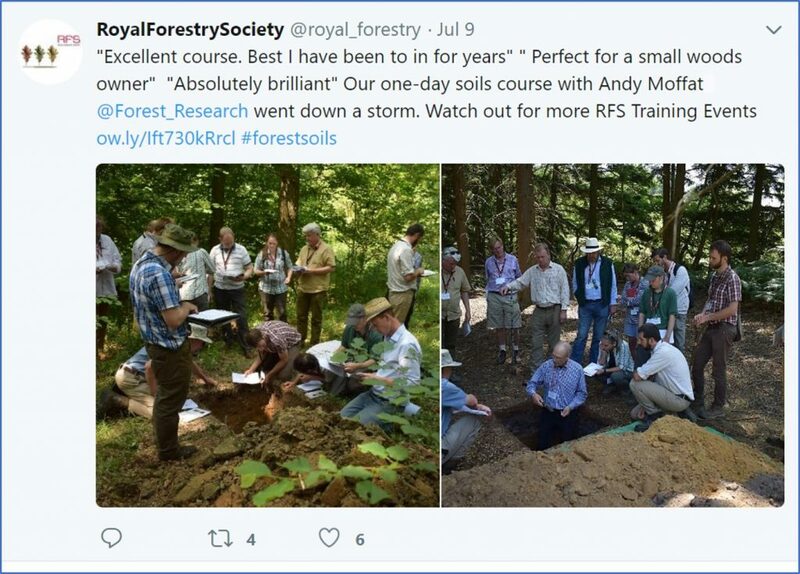 The City of London Corporation, which sponsored the work, were particularly interested in how management operations such as ‘halo clearance’ might impact on soil and water relationships. The review also examined likely effects of atmospheric pollution and increasing drought risk on the veteran trees. The report, which can be downloaded HERE, concluded that halo clearance was compatible with enhancing moisture supply to the trees, but that wholesale clearance was likely to be detrimental to tree condition. It makes several recommendations to optimize veteran tree retention as the climate becomes warmer and drier in this part of Britain. burnt over 1.2 million ha in the EU and killed 127 people including both fire fighters and civilians. The position in the UK is somewhat unclear because wildfire data are not available. However, Andy Moffat’s contribution to this review suggests that serious wildfires in Britain have become more common in recent years although it remains unclear if a trend of increasing wildfire will continue into the future. Further work will examine to what extent current fire policy is adequate to ensure prevention activities become effective in reducing wildfire risk. The Petersfield Society i-Tree Eco Survey Project was announced the winner of the prestigious Campaign to Protect Rural England (CPRE) Hampshire 2018 Countryside Award in the Community & Voluntary category at an uplifting ceremony in Winchester on 18 September. Andy Moffat, the Project Manager, and Robin Hart, the Petersfield Tree Warden, were presented with the winner’s plaque by the Lord Lieutenant of Hampshire, Nigel Atkinson Esq. 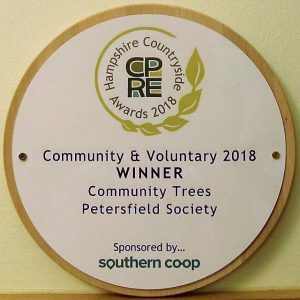 Jessica Hughes, one of the judges, introduced the award, saying “The Petersfield Society Tree Survey, driven solely by volunteers, has touched the whole community and provided a robust and comprehensive view of the environmental, social and economic value the trees of Petersfield contribute to their community. This citizen science initiative has attracted the interest of Westminster and will play an important role in influencing green infrastructure planning within the local council and South Downs National Park. The initiative also provides a valuable blueprint for other communities looking to protect and understand the value of their green assets’. 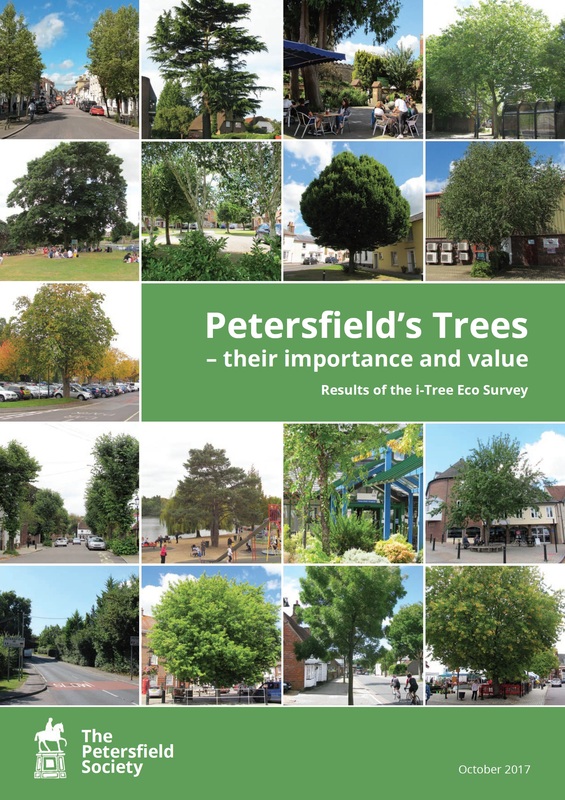 The i-Tree Eco survey is currently being used as a platform from which to develop a Tree Strategy and Action Plan for the town. Andy Moffat is again Project Manager for this initiative. 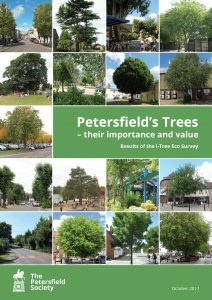 It is hoped that the Tree Strategy will be published in 2019.